Suppose you buy a nice new piece of electronics, recommended by your friends or the media: unparalleled function and quality! At home, you remove its packaging; let the show begin! But unfortunately, it’s not working, or only partly. While one asks friends or experts, another starts searching for the manual, a third keeps on pressing all buttons, and a fourth gives up. XIPs and gifted individuals are not a piece of electronics, but they are unusually complex, and also intense and driven. Dealing with those properties requires a delicate touch of their owner. XIPs are their own instrument and they all seem to have different ways of managing and expressing themselves. Some manage quite well, almost without any effort. Others may find their effective style only after many years, and still need to keep their focus to maintain it. How do you get to use your instrument to its full potential? In my opinion, you can reach full potential through action followed by reflection, and with the help of a mentor and/or a “manual”. The latter two are able to suggest direction and meaning to both action and the subsequent reflection. The word “manual” comes easy to me, as I studied engineering. 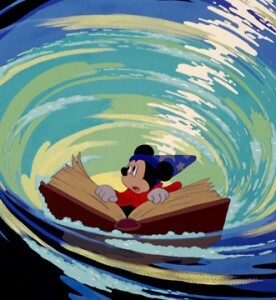 But you may also call it a guidebook, or a companion for your life’s journey. 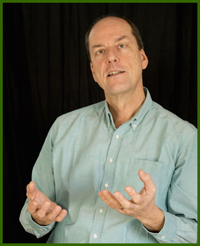 As a career and life coach I have seen time and again how a mentor, or a manual like Enjoying the Gift of Being Uncommon may help XIPs in developing more effective ways of being uncommonly intelligent and intense. And it quite often brings big relief as well. My point is that XIPs innately need a bigger manual with additional chapters, compared to other people. This has to do with their high degree of complexity and intensity. They also quite often happen to notice and wonder why they do and feel things differently, compared to others. How can they find out that those additional chapters exist? In fact, as long as they are not aware of their unusual intelligence and intensity, they may be convinced that they already have studied all chapters. So if things inexplicably keep going wrong, their conclusion can only be that they are stupid, weird, or worse. This may lead to an oppressive sadness, but also to a stubborn motivation to continue searching. That is why the first phase in the discovery of one’s own extra intelligence and intensity is always so transformative. Alternating feelings of unbelief and relief create a rollercoaster of emotions. 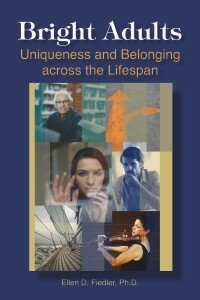 Last Fall Ellen Fiedler’s book “Bright Adults: Uniqueness and Belonging across the Lifespan” was published. In her book she offers Waypoints and Strategies that are characteristic for each period of ten or fifteen years of the target group: You need to update your manual with an additional chapter each time you arrive at your next “level of life”. Fiedler also looks at the distinctive needs of bright adults of 65-80 years and of 80 plus. Recently I saw an interview on Dutch television with famous primatologist Jane Goodall (verging on 82). Her friendly but firm answers to the questions whether she was planning to retire and take things easy on herself (she was not, thank you very much) were a striking illustration of the 80 plus chapter. Fiedler’s book also offers an explanation why some XIPs collide with the subject at a specific point during the course of their lives: The characteristic life theme had not urgently come up in an earlier phase. But quite unexpectedly it may happen to be the moment – for example, between 35 and 50 – that familiar patterns of self-image and social interaction have passed their sell-by date. Suddenly a hypothesis about the uncommonness of their own intelligence and intensity offers a more satisfactory and even liberating explanation of life. Fiedler mentions seven authors whose theories have been particularly relevant to her thinking about bright, intense adults at various times in their lives. Four have written mostly about stages of life, such as Erik Erikson or Gail Sheehy. 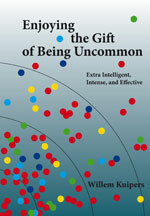 Three have written mostly about the context of unusual intelligence and intensity, and I am happy and proud that my Enjoying the Gift of Being Uncommon appears next to The Gifted Adult by Mary-Elaine Jacobsen (see web page) and Gifted Grownups by Marylou Streznewski (see web page). I have noticed with my clients that it is helpful to recognize one’s current struggles as being characteristic for a certain stage of life. Of course it’s only a map and not the territory. But you will be meeting its challenges with more confidence when you realize you’re not the first one to enter there. And Fiedler’s suggestions may surprise you. There is so much to explore about your own extra intelligence / giftedness!